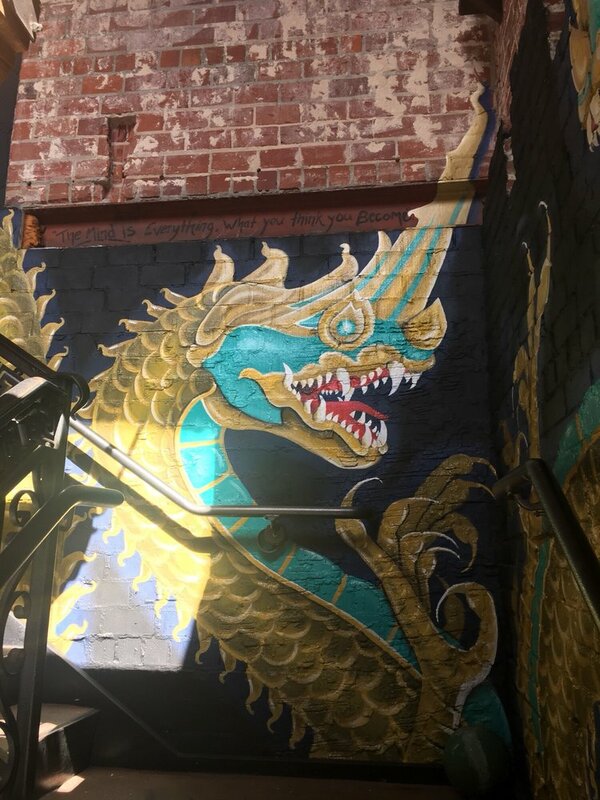 Indochine is one of my favorite downtown restaurants, once you open the door and start up the staircase, you feel beautiful something is waiting at the top. The interior is most relaxing and suited for fine dining. Staff is friendly and knowledgeable, more than happy to answer questions or offer suggestions if you are new to Thai dining. Another plus it is within walking distance to the TU Arts center for those of us who like pre-show dining, and that was us tonight. 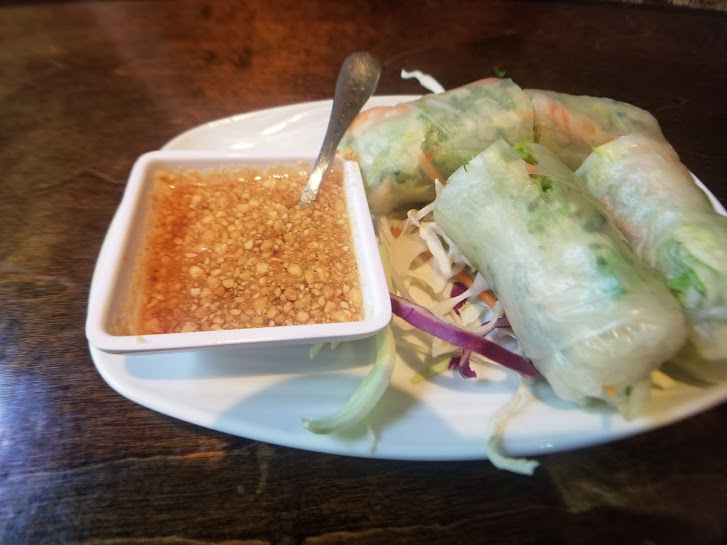 Starting with two of our favorite appetizers the fresh Spring Roll, two rolls, containing shrimp, chicken, noodles, fresh greens with mint in a chilled rice paper wrapper served with a sweet dipping sauce. Always fresh and always pleasing. 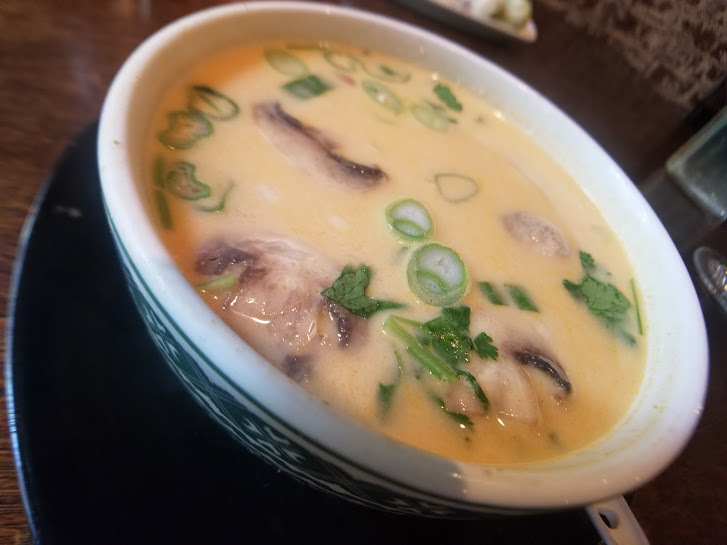 My choice as always a spicy bowl of Tom Ka Gai; with generous amounts of lemongrass chicken, galangal, mushroom, onion & baby corn in a velvety coconut milk broth. I find this the best in town for my taste. 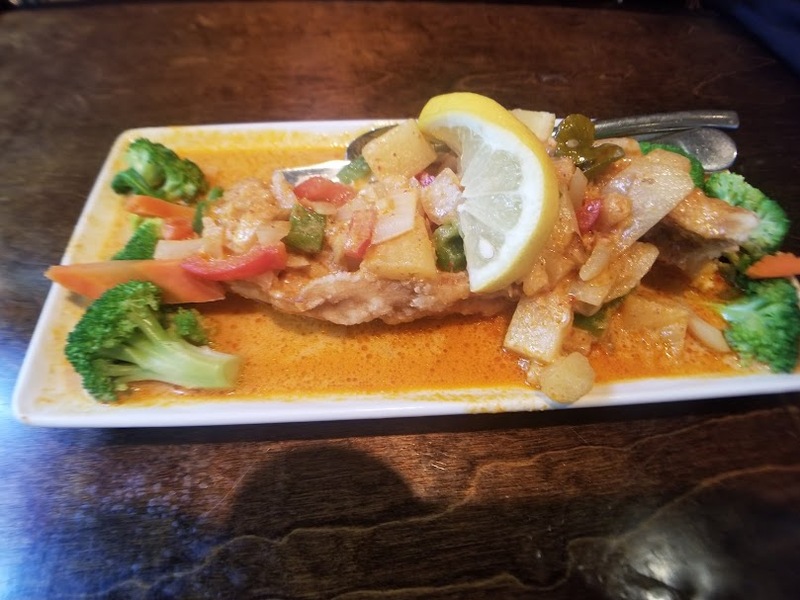 My companion opted for the Sweet Curry Snapper a traditional Thai dish comprised of an oversized snapper filet, with sweet red curry sauce and pineapple, bamboo shoot, onion & bell pepper. One can always count on stellar presentation when dining at Indochine and this dish lived up to expectation and satisfied on the taste scale as well. 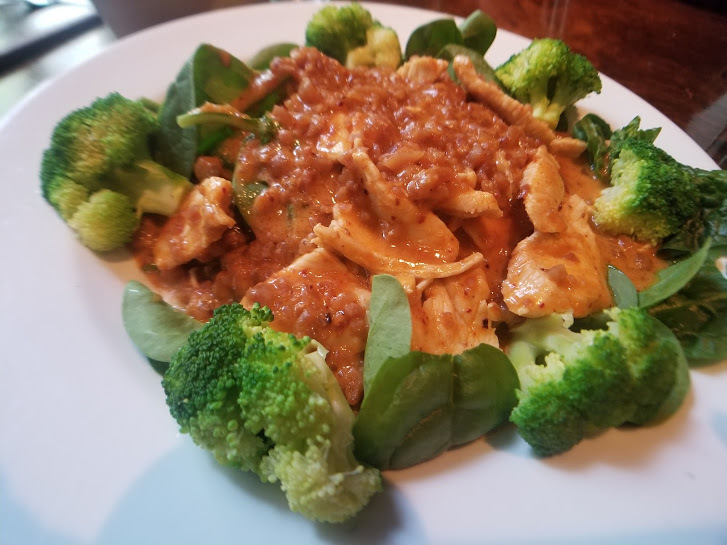 My choice was a new adventure, a vegetable choice the Prah Raam a welcome and exciting dish, al dente steamed broccoli flowers and spinach covered in a crunchy lightly spiced peanut curry. 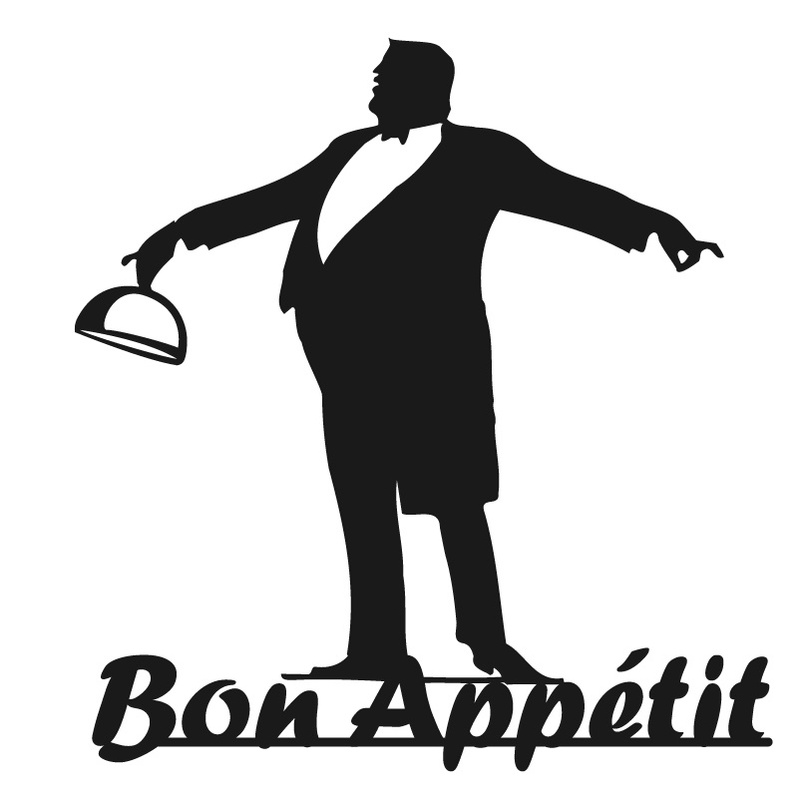 I can almost taste it as I write this post, that’s how impressing it was for me. Once you dine at Indochine, it’s easy to understand why they have been voted one of the downtowns favorite dining spots. Great for date night, pre-theater of just to try something new. Gather the besties together and give it a try.